SEE ALSO: Bethanie Mattek-Sands and Jamie Murray win 2018 US Open mixed doubles title. 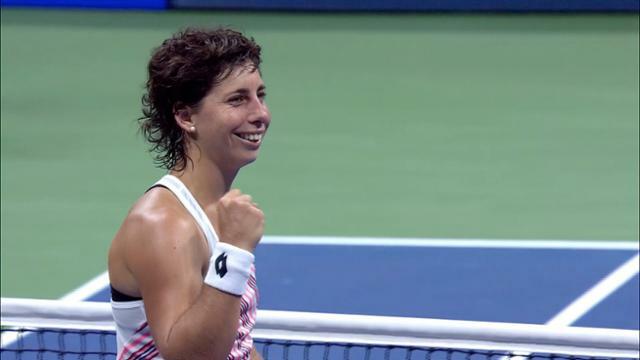 SEE ALSO: For the first time, Australia’s John Millman has advanced to the quarterfinals at a Grand Slam. 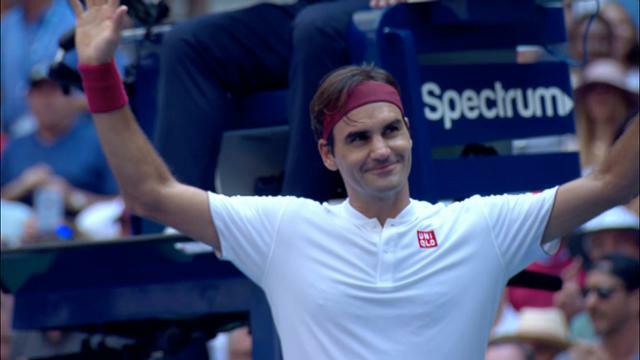 Here’s a closer look on the 12-year veteran, who is entering new territory in the second week of a Grand Slam after stunning Roger Federer in Round 4. 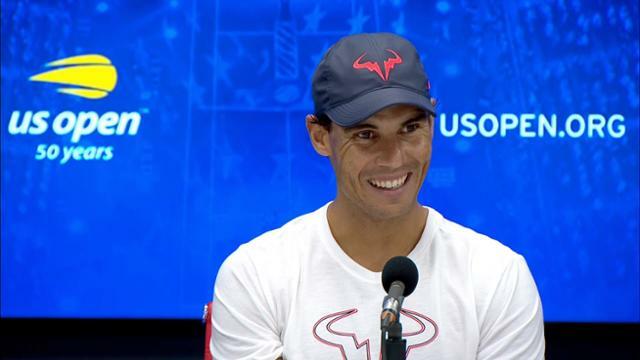 SEE ALSO: Rafael Nadal addresses his career longevity after being forced to retire with a knee injury in his 2018 US Open semifinal against Juan Martin del Potro. SEE ALSO: Canadian teen sensation Denis Shapovalov has a unsusal supporter in his box at the US Open - a stuffed wolf aninmal. SEE ALSO: David Ferrer, one of the great warriors in his sport, has played his last Grand Slam match. USOpen.org reflects on the career of the two-time US Open semifinalist, one of only four active players with more than 700 wins. August 31, 2018 - Serena Williams before her match against Venus Williams at the 2018 US Open. August 29, 2018 - Venus Williams walks out before her match against Serena Williams during the 2018 US Open. August 31, 2018 - Fans waiting to enter the Arthur Ashe Stadium to see Serena and Venus Williams play on Friday night during the 2018 US Open. August 29, 2018 - Venus Williams in action against Serena Williams during the 2018 US Open. August 29, 2018 - Serena Williams in action against Venus Williams during the 2018 US Open. August 31, 2018 - Venus Williams in action against Serena Williams during the 2018 US Open. August 31, 2018 - Serena Williams in action against Venus Williams during the 2018 US Open. August 31, 2018 - Serena Williams and Venus Williams meet at net during the 2018 US Open. August 31, 2018 - Serena Williams waves to the crowd after her match against Venus Williams during the 2018 US Open. SEE ALSO: While tennis can be known for its revolving door when it comes to the hiring/firing of coaches, there are players like Sloane Stephens who partner up for the long haul. “This is going to be life-changing for myself and Maddie.” — John Isner, whose wife, Madison, is due to give birth to the couple’s first baby on Sept. 22. SEE ALSO: Players have been forced to pull out of the US Open for almost every reason imaginable, but there’s a small chance that veteran American John Isner could pack his bags for an unheard-of reason in pro tennis: childbirth. SEE ALSO: Neil Schlecht, one of USOpen.org’s longtime writers, experiences the Nadal-Thiem quarterfinal classic not as a reporter, but purely as a fan. 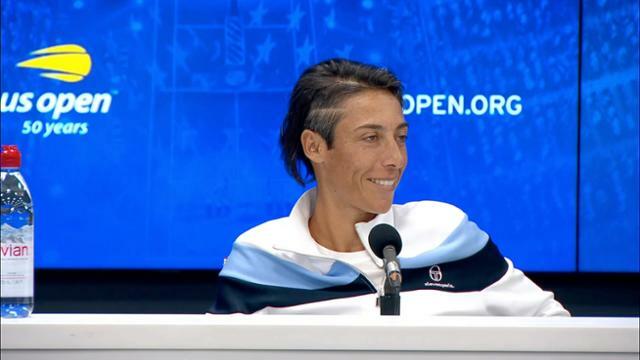 SEE ALSO: Former French Open champion Francesca Schiavone announced her decision to retire from tennis at the US Open. SEE ALSO: Novak Djokovic has returned to the elite of the tennis world after a prolonged slump.